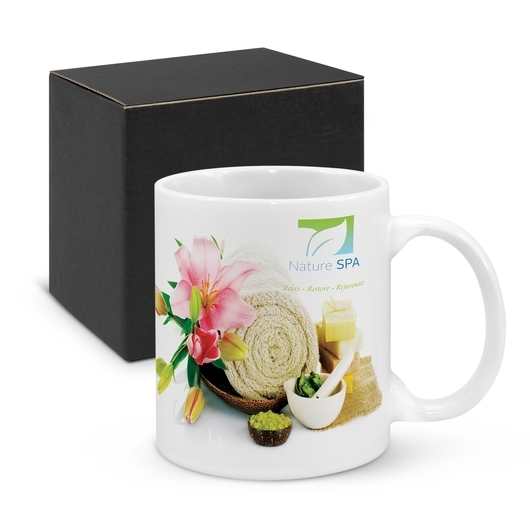 A full colour printed stoneware mug that comes with a black gift box. Enjoy your cup of tea or coffee with these fabulous mugs. 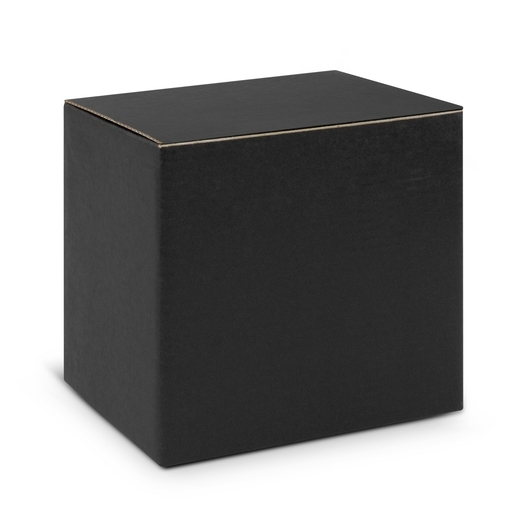 They come as standard with a full colour wrap around print for maximum branding awareness and a black gift box fully included at no extra cost. They are stoneware, have a capacity of 330mL and are dishwasher safe.